Hi I’m John Bear! 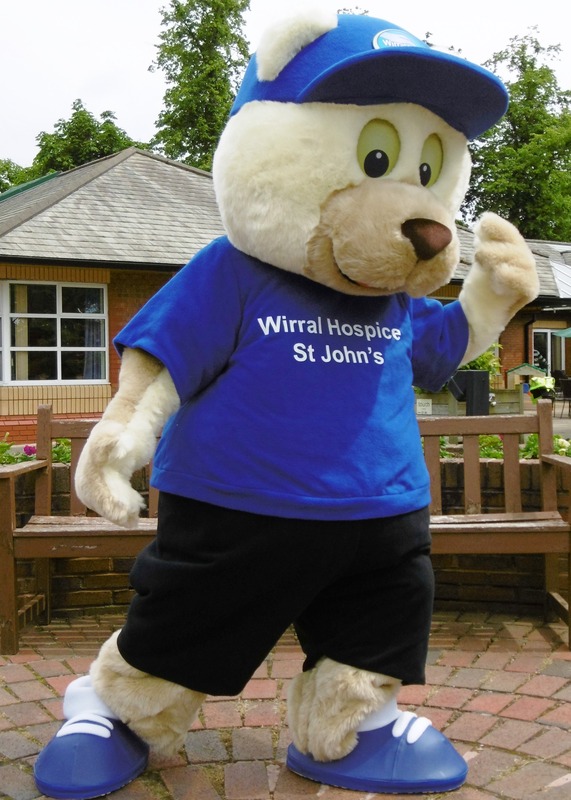 As Wirral Hospice St John’s friendliest (and hairiest) member of the team, I get to do lots of fun stuff! The whole point of the Hospice is to look after people who need special caring. Although I can’t do that – for a start my paws are too big and none of the uniforms fit me – I can help raise a smile and also cheer on and encourage the kind people who do their very best to raise funds to keep the Hospice going. I also visit schools as part of the Hospice’s schools’ project, which is specially designed to help children cope with their emotions when someone near to them is incurably ill. The special team at the Hospice can also provide training for teachers to help children when someone close to them dies. I love going to the schools and meeting all the children. I hear lots of funny stories and sad ones too, which is exactly why I’m there – to help children talk about their feelings and encourage them to share their experiences with friends. My role is to teach children that it’s ok to laugh when remembering a loved one and that’s ok to cry and be sad sometimes too. I help them know where to turn when they want to talk to someone or need a hug. There has been a lot of sport going on lately. I like to keep active, even though I get really hot and sweaty in the sunshine. Anyway, I was getting really into the World Cup football fever, well I was up until England lost their chance of winning. Every weekend boys and girls of all ages compete across Wirral, playing football in organised leagues. This season Vauxhall Corsa’s under 10s team will be chasing their league title in a brand new kit, kindly funded by an anonymous donor. With a new kit provided for the team, Vauxhall Corsa’s have decided to advertise a charity on the front of their shirts. We are delighted to announce that Wirral Hospice St John’s is the lucky charity chosen. The Hospice’s name and logo will now be proudly displayed throughout the remainder of this season and for future seasons to come. Vauxhall Corsa’s under 10s play in the Wirral Mini League and currently reside in third position. We would like to wish all the players, coaches and supporters the best of luck for the rest of the season and thank you very much for choosing Wirral Hospice St John’s. We will certainly be keeping a keen eye on their results.